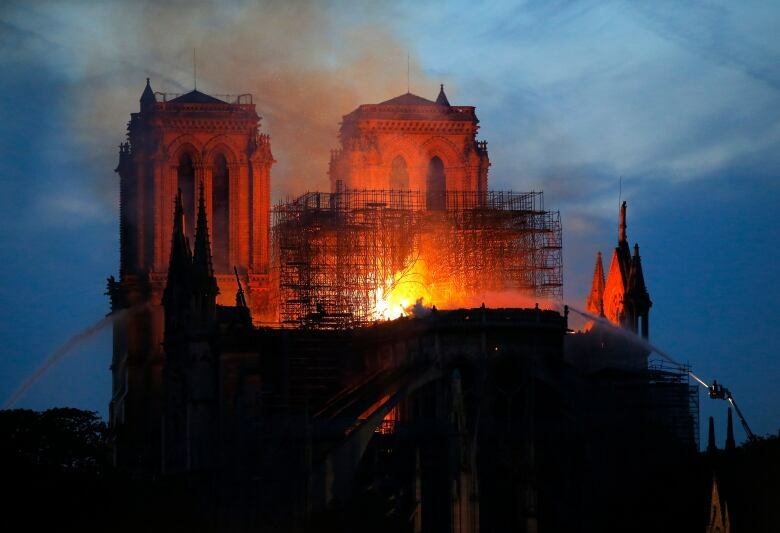 Just hours before flames engulfed the spire one of the world's most recognizable cathedrals, Canadian Ashley Creed had been inside the centuries-old Notre-Dame Cathedral, marvelling at a piece of history she'd*only seen in history books. For Creed, who studied medieval history at the University of Toronto, seeing*the*structure*with its famous Gothic architecture and intricate beauty was a moment she knew she'd never forget. But she never imagined this would be why. "This was a bit of pilgrimage for me," Creed told CBC*Radio's*Here and Now by phone from Paris. 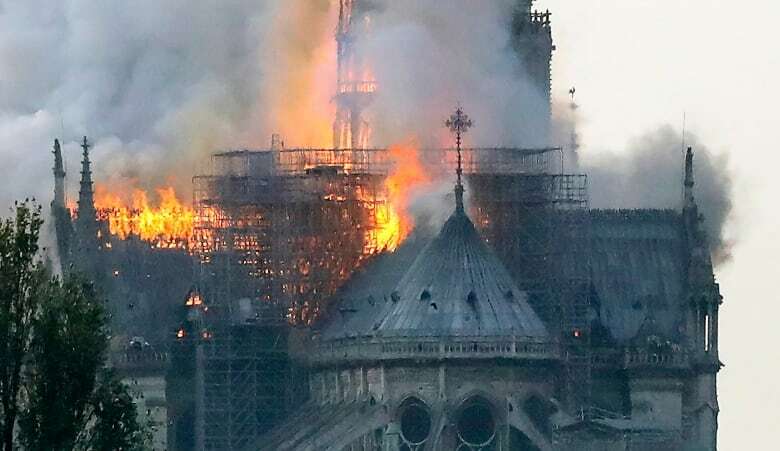 "I was hoping to see history, not history in the making," she said,*as she watched the iconic spire burn from a bar across the street. Adding to the pain, she said, was*that it came just one day after Palm Sunday, which Christians hold as marking Christ's entry into Jerusalem and the*start of his journey toward*crucifixion. 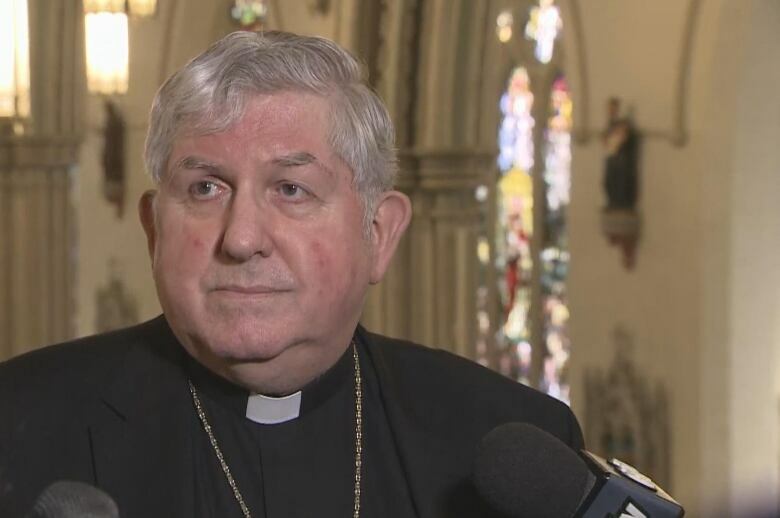 The Roman Catholic Archbishop of Toronto, Cardinal Thomas*Collins,​ echoed that sentiment, watching the destruction from half a world away. Collins said his thoughts were especially with the people of the Diocese*of Paris, for whom the cathedral "is a symbol of God on earth." News of the blaze at the cathedral*— parts of which date*back to the 12th century*— drew reaction from around the world, including from*Prime Minister Justin Trudeau. As night fell over Paris, the sky was*marked by*"eerie glow of orange," said Creed. "There's throngs of people still just on the streets mourning the loss of this"
"It's just a very sad energy," she* said. "I mean, you've got tourists and Parisians alike just standing, watching, and it's incredibly sad. I don't know any other way to describe it. "It's bringing people together*—*but under the worst circumstances."